Simplified puff pastry custard tartelette cups offer a delectable balance. ...while enclosed in a flaky and crispy crust. certainly one of Portugal's great culinary offering. and neither is making over 10,000 of these treats a day. I only made 12 pastries and yes, slightly time consuming, however well worth the time. the original custard that goes into the original Nata. perfectly within a cream of egg yolks and milk. 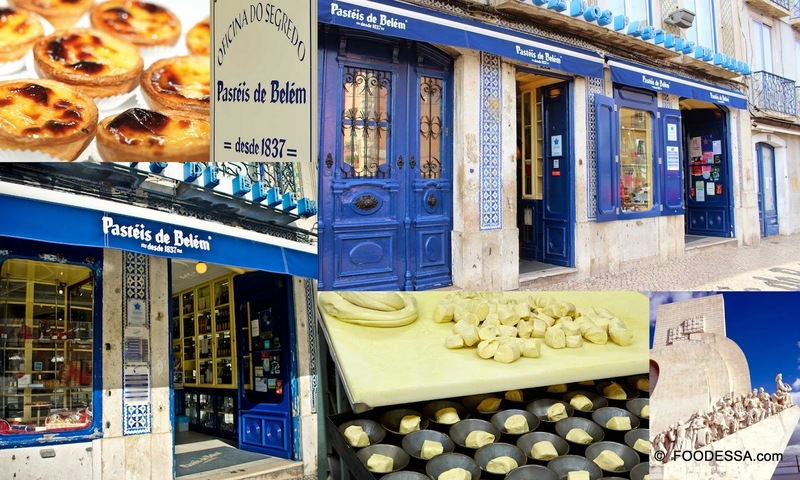 Pastéis de nata were created before the 18th century by Catholic monks at the Jerónimos Monastery in the civil parish of Santa Maria de Belém, in Lisbon. At the time, convents and monasteries used large quantities of egg-whites for starching of clothes, such as nuns' habits. It was quite common for monasteries and convents to use the leftover egg yolks to make cakes and pastries, resulting in the proliferation of sweet pastry recipes throughout the country. Following the extinction of the religious orders and in the face of the impending closing of many of the convents and monasteries in the aftermath of the Liberal Revolution of 1820, the monks started selling pastéis de nata at a nearby sugar refinery to secure some revenue. In 1834 the monastery was closed and the recipe was sold to the sugar refinery, whose owners in 1837 opened the Fábrica de Pastéis de Belém. The descendents own the business to this day. Reference of excerpt credit here. aromas of: vanilla, cinnamon and orange. 1. In a small-MEDIUM saucepan, hand whisk the eggs, sugar, and flour all at once until a smooth paste has formed. Add just a little quantity of milk and whisk to soften the thick paste. Afterwards, continually whisk in the remaining milk until all is combined. Add the cinnamon stick and orange peel. 2. Over MEDIUM-HIGH heat, start whisking the custard gently at first. Once a very low simmering boil appears, a quicker whisking motion should take place. As the mix starts lightly thickening, an evident ribbon trail will follow. The cream is ready. Immediately remove the pot away from the heat. Stir in the Vanilla extract. 3. Transfer the custard into a heat-proof bowl. Remove the cinnamon stick and orange peels. Let the custard rest about 30 minutes (whisking in between) before placing a piece of plastic wrap touching the surface. Place the custard in the refrigerator for a few hours up to overnight is best. 4. Prepare a muffin pan to be placed onto a baking sheet for later. Set aside. 5. Unroll the Puff pastry sheets and place the second sheet at the very edge of the shortest end. Press down lightly to bind them. 6. At the shortest end, start rolling away from you while making sure to keep the ends from rolling outwards. Basically, lightly press in as you roll. Slice into 12 even pieces and place each one with the cut side up into each cavity. 7. Gently press in the center of each dough piece and lightly go up the edges with the aid of your thumb. Careful not to make the bottom too thin. Refrigerate for about 1 hour. 8. Pre-heat the oven to 475F/240C/Gas9. Position the rack in the center of the oven. 9. 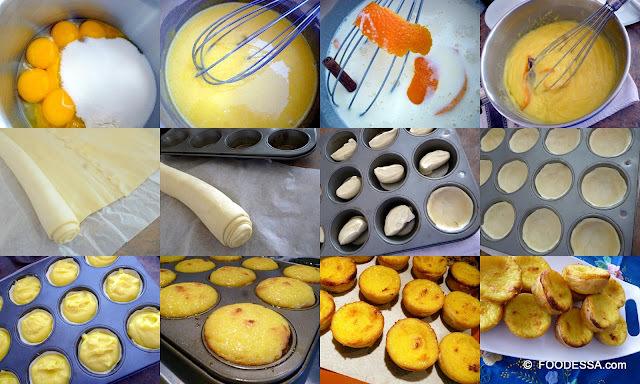 Once the oven is ready, remove the custard out of the refrigerator as well as placing the muffin pan onto a baking sheet. Fill each cavity with a generous ice-cream scoop full of custard.
. BAKE for 12-14 minutes. Then, put the BROIL element on HIGH for 3-5 minutes....all depending on how much you desire of that caramelized look. Please watch those tartelettes like a hawk to avoid them from burning.
. Once removed from the oven, wait until the custard settles before cooling the pan on a rack. Once at room temperature (about 1-1/2hrs) gently nudge out the tartelettes with a very thin spatula or knife. Place them onto a paper towel at first and then to a serving platter.
. Serve them at room temperature when they are at their best. These keep for a few days out on the counter. Enjoy. Montreal has a significant Portuguese immigrant population who like Italians have dispersed slightly. However, many still make Le Plateau their central grounding. This charming neighbourhood park was created in 1953 by landscape architect Carlos R. Martinez to honour the city's Portuguese who came to Montreal in search for a new life. 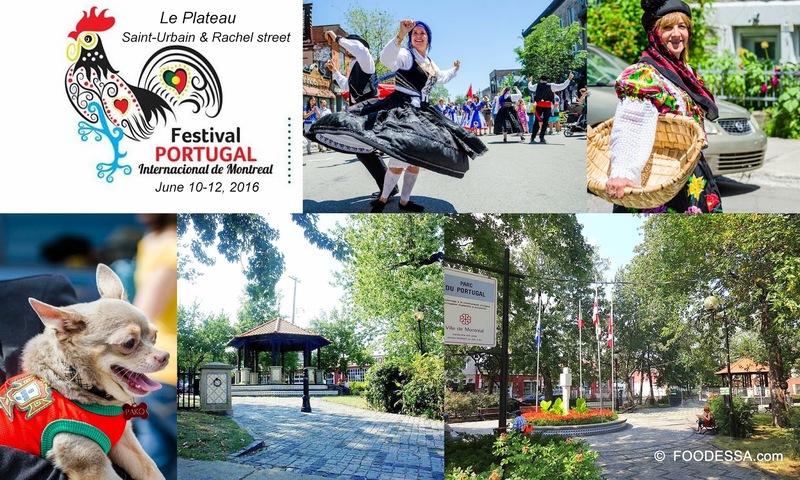 It's located in the central area of Le Plateau on Saint Laurent Boulevard near Marie-Anne Street. This pastry came from: Pâtisserie Notre-Dame Du Rosaire. I served it with sugared pecans and cashews. Here are a few of my favourite places to find the creamy custard tartelette. Our trip to Portugal was incredibly appreciated through its history and treats like 'nata'. However, this country stayed memorable mostly because of its people. Always warm, inviting and with loads of character. Welcome to Montreal and thanks for sharing your Pasteis de Nata with us. Looking forward to sharing many more Montreal connection moments with you. Have a great week everyone and flavourful wishes.